$399 seems to be the going rate for divorce these days. You can see advertisements like this all over. Of course $399 is just the tip of the iceberg; the cost of filling out paperwork in uncontested divorces. 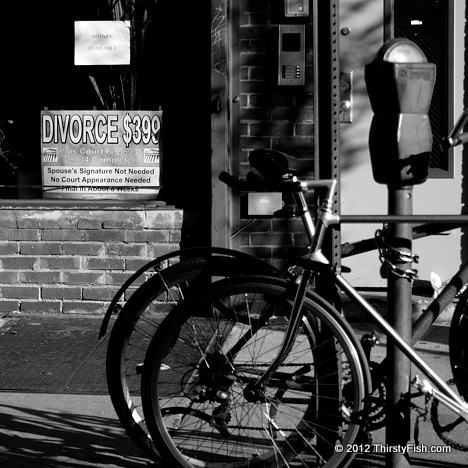 The average cost of divorce in the United States is about $15,000. But the real cost of divorce does not end at the legal process; The costs for selling, buying or renting a home after the divorce, childcare, therapy, new car, loss of home value, etc., can quickly add up to a few hundred thousand dollars for a divorcing couple. In addition to the financial burden, divorce also has a toll on the health and psychology of couples and an emotional toll on their children. In the United States, it is projected that 50% percent of first marriages, 67% of second and 74% of third marriages will end in divorce. Despite all the talk about the "sanctity of marriage", polls indicate that the number of married Americans has dropped to around 54% in 2010 from 72% in 1970. A growing number of Americans, currently about 25%, have never been married. Research also indicates that healthy marriages are good for health. While single people who have never married may have a lower life expectancy than happily married couples, they are found to be healthier than those who are married and then divorced.